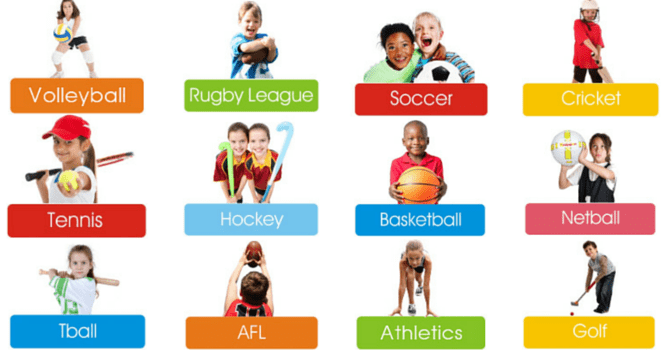 Kindysport offer a multisport program during the morning or after school at parks and indoor centres which are a fun introduction to sports for kids. These programs are independent of schools and are ideal for parents looking for a comprehensive program that introduces their child to a number of sports. All venues have indoor backups for wet weather. Children are introduced to a different sport each week. In total we cover 12 different sports, so the program changes each term. The sports covered include cricket, tennis, rugby league, soccer, aussie rules, netball, basketball, teeball, golf, athletics, volleyball and hockey. Sessions run for 45 minutes. All equipment is supplied and is modified to suit young children. The games we play ensure early success and inclusion for all children regardless of skill level. Click here for our Kindysport video.